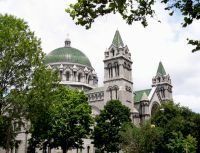 The Central West End (CWE) includes some of the city’s finest commercial and religious architecture, as well as most of the private streets, stately homes, and luxury apartment buildings. While there is not one dominant architectural style, an overall richness and detail in construction create a strong sense of prosperity in the district. 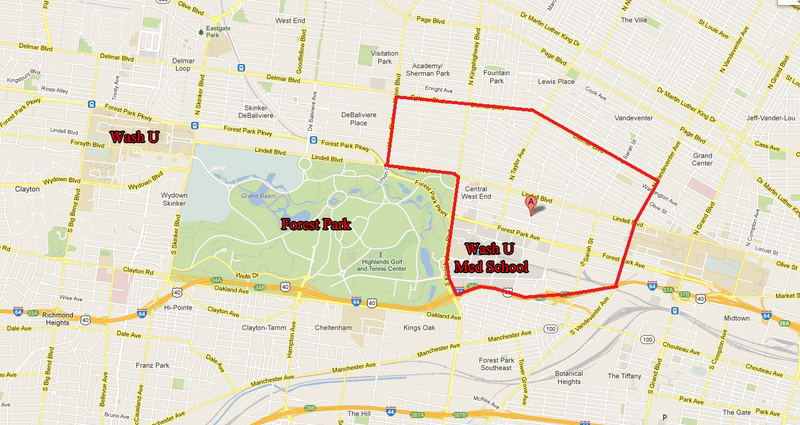 The Central West End came into prominence around the time of the 1904 World’s Fair held in St. Louis’ Forest Park. It is a historically affluent area, once home to names like Tennessee Williams, T.S. Eliot and Kate Chopin. Many of the multi-million dollar mansion homes on private streets in this neighborhood are on the National Register of Historic Places. This district is host to a diverse community of people. It is one of the few neighborhoods that can truly call itself “cosmopolitan”, with a fine balance of homeowners, renters, and businesses. It has currently undergone a modern renaissance, incorporating modern high-rise developments with one-of-a-kind boutiques and blending them with the grand historic architecture from the turn-of-the-century. 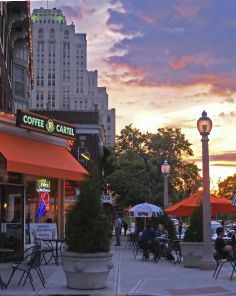 The CWE, sometimes called St. Louis’ version of “The Village”, is the sophisticated choice of neighborhood for current city dwellers. Geographically speaking, the CWE is a broad area to the west of Midtown, along the City’s central corridor. It is bounded on the north by Delmar Boulevard, on the south by Highway 40 (I-64), on the west by De Baliviere Avenue and on the east by Vandeventer Avenue. Also located in the CWE is the state-of-the-art Washington University Medical Center and Barnes-Jewish Hospital Complex. Forest Park lies at the western border of the CWE, and at 1,300 acres, is approximately 500 acres larger than Central Park in New York, with more free attractions to the public than any park of its kind. Below you will see a map of this remarkable city treasure.